I first made this cake for St David’s Day on 1 March. While not a Public Holiday, people in Wales and those of Welsh origin, celebrate the life of their patron saint, St David, who died on this day in 589. In bigger cities, this might include food festivals, concerts and street parties, with lots of traditional Welsh foods on offer. Bara Brith is literally Welsh for ‘speckled bread’. Now, Mr MaMT will be attending a client’s board meeting in Swansea, South Wales, in a couple of months and has requested I make this ‘loaf’ to take along with him. Eek, the pressure will be on to make sure it’s up to standard! 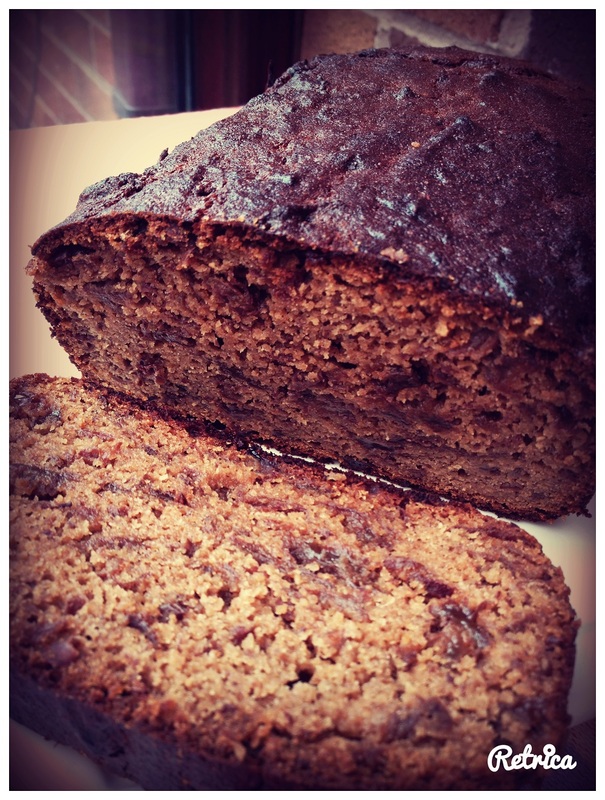 This is a lovely moist loaf cake and the secret lies in soaking the dried fruit in strong tea the evening before; Soaking the dried fruit in tea and a little bicarb added, makes it very juicy, giving way to the moistness of the loaf and ensuring it keeps well. 1/2 tsp bicarbonate of soda (this tenderises the fruit skin and makes it softer and more digestible by breaking down any tough fibres and producing a moist, rich taste). 1tbs maple or rice syrup, optional – adjust to suit your sweetness threshold, or leave out completely. If bananas are very ripe, extra sweetness may not be required. Scrape down the sides of the bowl then add and set to closed lid and knead (or speed 5 / reverse) for 10 seconds. Give it a good manual mix with the TM spatula if need be. Pour into a grease proof-lined loaf tin, smooth out and bake 1hr at 170degs, fan-forced. Test with a skewer and if not fully clean when inserted, cover the loaf with some foil and cook for a further 15 minutes. Re-test with the skewer. It should also be firm to touch on top. Allow to cool in the tin for 10 minutes, then extract and leave to cool further on a wire rack, before slicing. Enjoy plain or with a slathering of butter, if allowed!